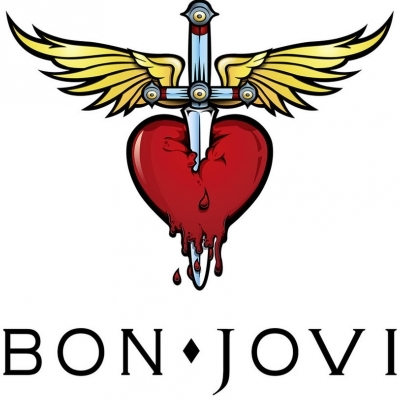 Bon Jovi is a hard rock band formed in 1983, which had a streak of successful albums in the late 1980s. 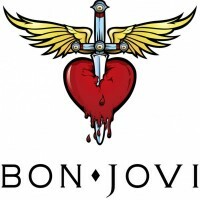 The band originally consisted of lead vocalist Jon Bon Jovi, guitarist Ritchie Sambora (left in 2013), bassist Alec John Such (left in 1994), keyboard David Bryan, and drummer Tico Torres. 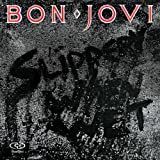 The band's most famous album is Slippery When Wet, released in 1986, and had multiple hit singles such as "You give love a bad name", "Livin' On A Prayer", and "Wanted Dead Or Alive". The band's success continued well into the 1990s and 2000s, and the group still makes music to this day. They have sold around around 83 million albums worldwide.The band's first four albums blended the glam metal and hard rock genres. Their first two albums used a heavier mixture of glam metal and hard rock while their follow up which were Slippery When Wet and New Jersey featured a more mainstream commercialized mixture of glam metal and hard rock. They had shed the glam metal sound by their fifth studio album, Keep the Faith, and their sixth, These Days, utilizing a more mature hard rock sound. Crush was characterized as "far enough into pop/rock to actually stand a chance of getting airplay", while Bounce was described as "heavy, serious rock". Have a Nice Day was also characterized as being heavier than Crush.